Give thanks during “abnormal” times. What’s that? That’s the time between breakfast, lunch, dinner and bedtime—the 23 hours of the day when we so often place God on the back burner. 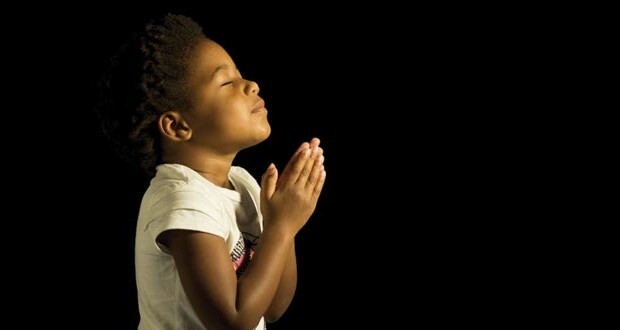 If we rarely discuss God other than when we “say grace,” then what do we expect our children to do as they grow? Turn the day into an out-loud conversation with God and involve your kids along the way. “God, thank you for letting us make that stop light.” “God, thank you for that beautiful sunset.” Once I prayed out loud, “God thank you for that yummy ice cream we ate today,” to which my then-4-year-old son replied, as sincerely as could be, “And, God, it’s not really ice cream. It’s frozen yogurt.” He had mastered the conversation part. Intercede for others. It’s one of the best ways to destroy selfishness in your child—and you, too. Pray for the sick, and do so immediately and out loud, if possible. Pray for those who are sad, for those who have lost loved ones, for those who are lost. And pray for your child’s friends and “enemies,” too. A few months ago when I sensed my oldest son was growing too self-centered in his daily actions, we launched a nightly bedtime tradition: praying for a classmate of his. He initially rebuffed the idea but eventually began volunteering information—even including specific prayer requests. One final idea: Make it a big deal when God answers prayers—that is, answers it in a way that we can physically observe. My toddler son prays each time he’s sick. And if he’s healed, you’ll know it. “God made me better!” he’ll shout. We probably all could learn from him.